Today’s challenge was mail. I wish it had been weather. Then this could have been the photo of the day. The view from my windshield is now accompanied by a rather large crack thanks to the giant hail that rained down on my car today. It could have been worse though. I could have been riding home in a tow truck because my windshield was completely shattered. But today’s photo was of mail. 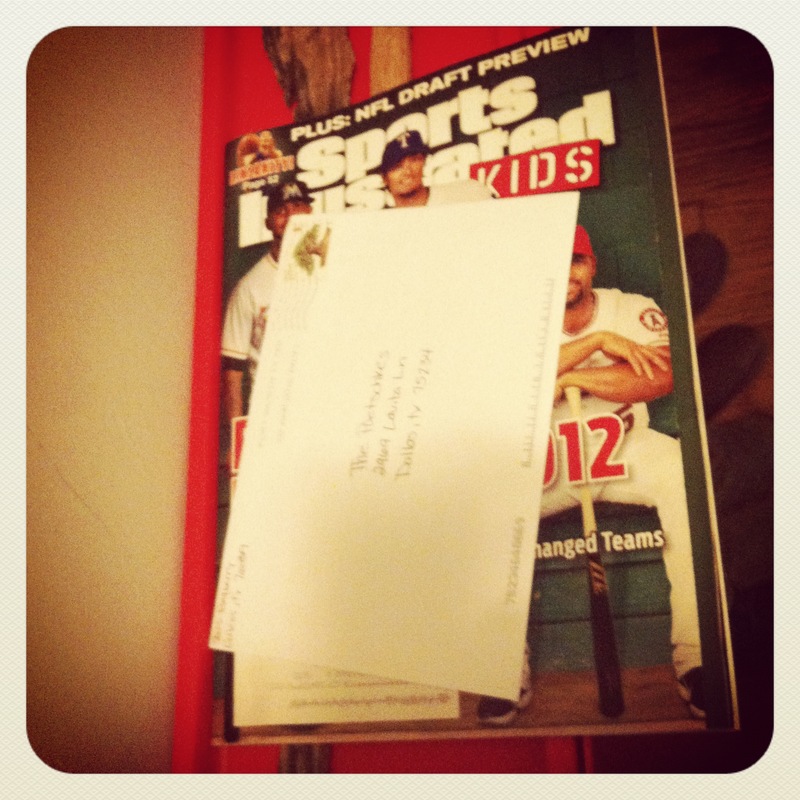 One handwritten note and a Sports Illustrated Kids magazine. Lola is really into sports magazines. 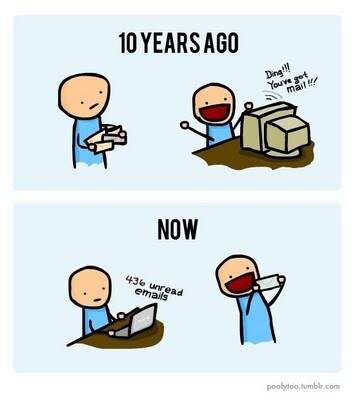 The handwritten note reminded me of this great cartoon I recently ran across. I love this Photo a Day challenge. 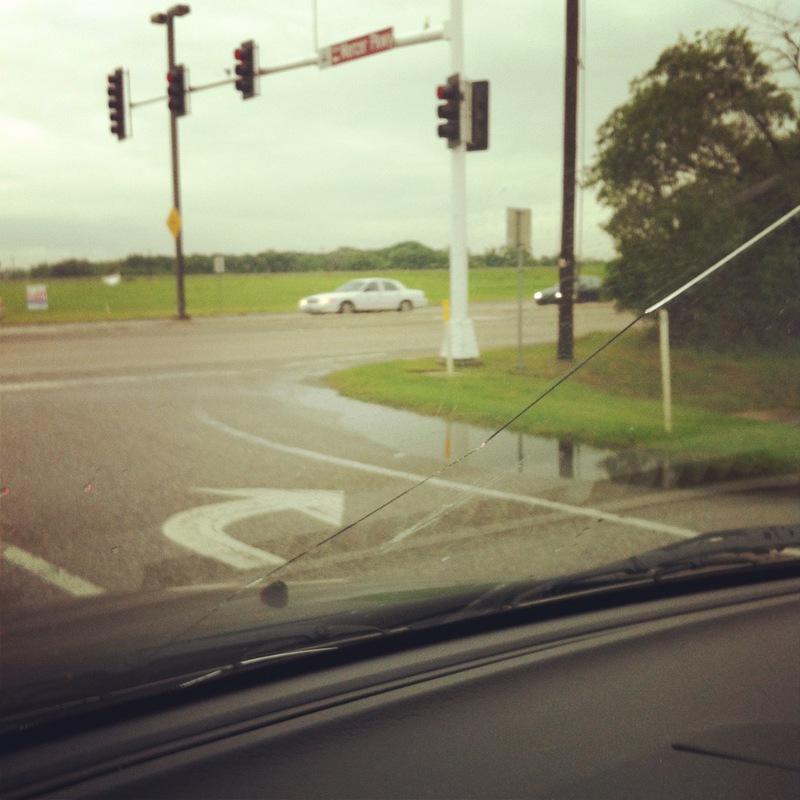 This entry was posted in Photography and tagged #photoadayapril, Hail, Mail, Photo a Day, Texas Weather, Weather. Bookmark the permalink.